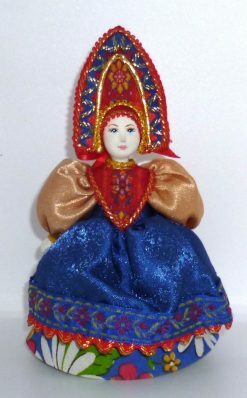 View cart “Sofia in traditional dress medium” has been added to your cart. 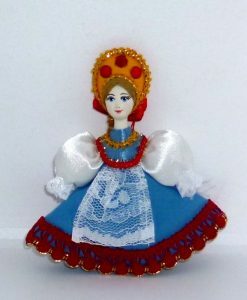 This Russian porcelain doll is wearing traditional folk dress. 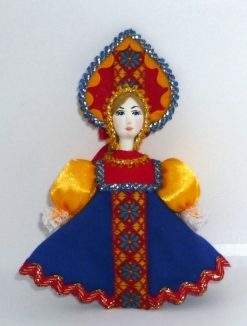 All hand-made costumes are different and unique. 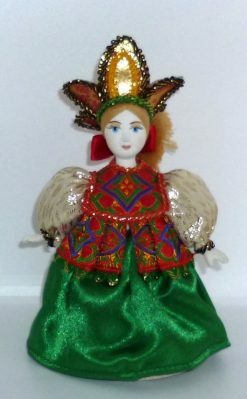 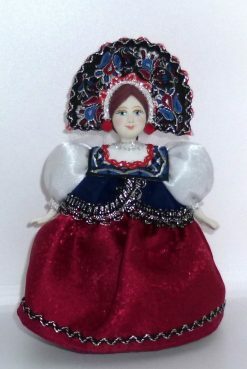 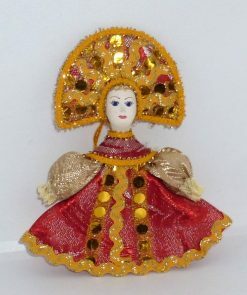 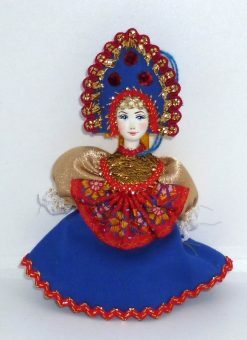 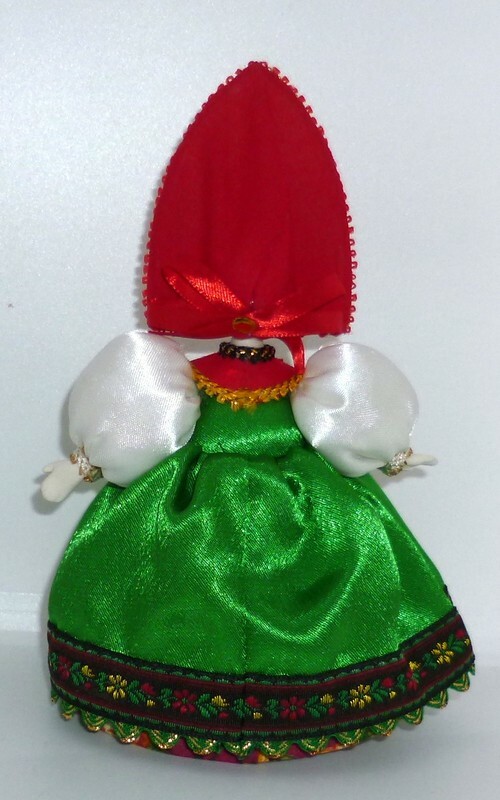 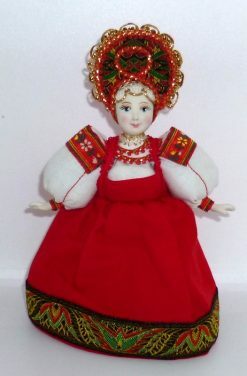 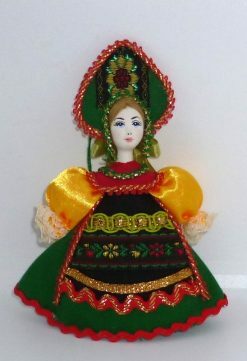 Russian hand-made doll in traditional national costume. 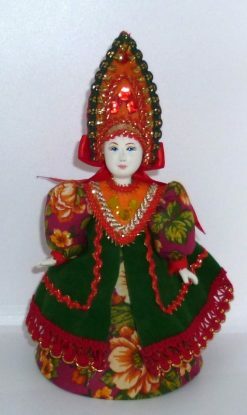 Head and hands of the doll are made of porcelain and face is hand painted. 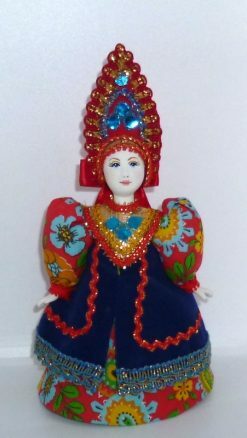 These Russian dolls are dressed in national costumes which reflect traditions of specific regions of old and modern Russia. 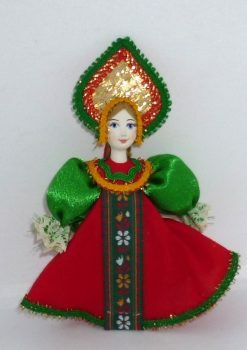 Each dress of these Russian dolls are made with much skill and patience, each part of the doll costumes are created in details and with ethnographic accuracy. 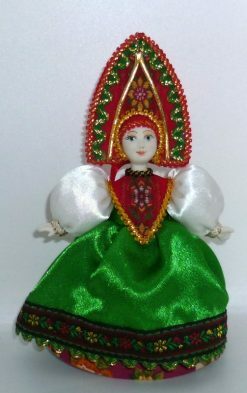 All of these dolls in traditional festive dresses are imported from Moscow, Russia.